In 2015, the Town of Georgina passed By-law No. 2015-0150 (BU-1), being by-law under the Building Code Act respecting permits and related matters. This by-law also known as the Town of Georgina’s Building By-law outlines the building permit process and other construction permit processes, however, the by-law cannot establish technical standards that conflict or supersede Building Code Standards. The Ontario Ministry of Municipal Affairs and Housing website provides information on qualification and registration, available training, dispute resolution, news on recent code developments and more. The Ontario Building Code is also administered by the Building and Development Branch of the Ministry of Municipal Affairs and Housing. The OBOA was established in 1956 and for over 50 years has played a leading role in the education, training and professional development of Ontario’s municipal building officials. On behalf of municipalities our 2000 members administer provincial laws and municipal by-laws relating to the construction of all types of buildings and structures. 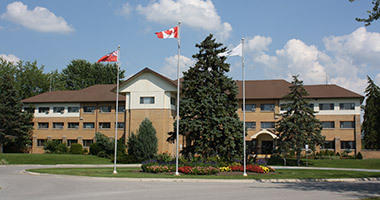 In the mid-1970s, the Province of Ontario passed the Ontario Building Code Act, and its regulation, the Ontario Building Code, which have provided rules for property owners, municipalities and the building community to establish and improve building standards and processes, and ensure public health and safety. The Ontario Building Code is a regulation authorized by the Ontario Building Code Act, 1992 and sets out detailed administrative and technical requirements that must be met when a building is constructed, renovated or undergoes certain changes of use. The Code is a mandatory document used by architects, engineers, designers, builders, suppliers and manufacturers with regard to construction projects which are regulated by the Code.